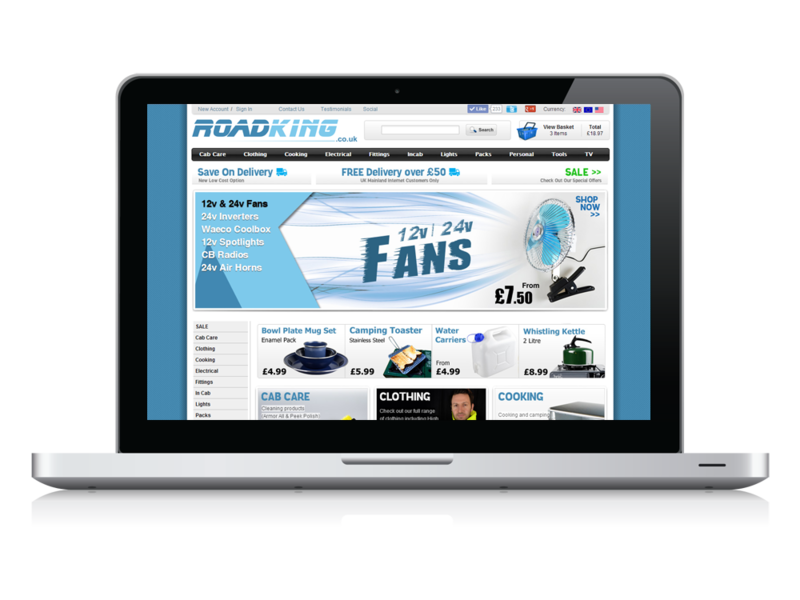 Roadking wanted an online shop to retail their truck and motorist products to a worldwide customer base. We used our ‘Business’ ecommerce package to create a powerful webshop, and used our photography services to promote their products online. When they started to sell on Ebay we also designed a professional template and Ebay storefront to increase their sales.